GatorCountry brings you a new podcast as we recap National Signing Day for the Florida Gators. 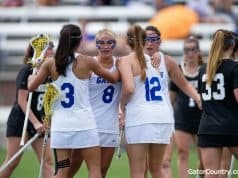 Andrew Spivey and Nick de la Torre break down how the Gators did on Wednesday and if they filled the needs they had on the roster. Andrew and Nick also breakdown what Dan Mullen had to say on Wednesday, plus we talk about the guys who can play early next year. Andrew: What’s up, Gator Country? Your man, Andrew Spivey, here with Nicholas de la Torre. Nicholas, Signing Day has come and gone, and get ready now for spring ball. Overall, Nick, I would say the 2019 class was a very successful class for the Gators, for Dan Mullen and his coaching staff. Outside of one position, and we’ll get into this, I think all needs were met. Nick: Yeah. Sorry, defensive tackle. You were really after how big the class was after the early signing period, you’re kind of sitting there wondering. You almost set yourself up for going to be disappointed with this other class, and you shouldn’t be. We had kind of said that in our last podcast before. Listen, if you miss on some of these guys, if you missed on Kaiir Elam or Chris Bogle, look what happened earlier. Andrew: Right. For me, Nick, this was just me, and, again, I don’t go into these situations expecting anything or anything like that, because I always tell people in recruiting if you go in with expectations of different things, you set yourself up for failure. For me, after the early signing period, I said to myself, and I was saying on some of the message boards and different things, and I said, the one person Florida has to sign in February is Kaiir Elam. It was for no other reason than the simple fact of if you did not sign the legacy, you did not sign a kid who has got Gators everywhere for him, if you didn’t sign him, it was a failure. If you signed him, everything else was gravy. Again, in the early signing period you hit seven offensive lineman. Was a big need. You filled your linebacker position. You filled your DB position for the most part, and you got some pass rushers. You filled all your needs in the early signing period. This was gravy. Again, would you have loved to have a defensive tackle in Charles Moore or Nathan Pickering or one of those guys? Absolutely. I think you can say that about every class in the country. You can nitpick and say, I’d love to have this, or had that, but for me, when you signed Elam, everything else was gravy. Nick: I think we had pretty much given everyone that was listening to the podcast or everyone on the message board a head’s up, like Nathan Pickering is going to stay in state. He’s going to go to Mississippi State. That’s just what he was going to do. He’s going to take his visits, but he wanted to stay close to home. I mean, this DB class, Kaiir Elam, Jaydon Hill, Chester Kimbrough, Chris Steele. You’ve guys that are going to play from Day 1 there. The receivers, I really like the receivers. RJ Henderson, Dionte Marks. Ja’markis Weston is probably the one that I’m really excited about to see what he looks like. Then Trent Whittemore. I’ve got him slotted in as receiver, but they’re going to try him out all over the place. I think they’ll try him out at receiver first. You’ve got 12 receivers right now. Andrew: They’ve went back and forth with Whittemore. At the end they were telling him safety, and then they were back to kind of telling him a little bit more playing receiver. He’s one of those guys, like you just said, that it’s going to be get him on campus. Okay. You may put him at safety Day 1. Day 2 you may put him at receiver. See where he fits the best, and then go from there. Again, it goes back to Dan Mullen’s plan, and we’ll just go ahead and get into this. He likes versatile players. Nick: No matter the position. He was talking about that yesterday as well. Andrew: When you look at Diwun Black, you could easily put him at safety. You could put him at linebacker. Tyron Hopper is the same way. You can easily put him at linebacker, easily put him at safety. Did really well at linebacker in the All-American game, but played safety his entire high school career. Nick: I would say it’s not even so much as that, as you’re playing safety, you’re playing linebacker. I would say it’s when you get up against, for instance, when Florida plays a team this upcoming season, it’s what is Kyle Pitts? Where is he? Then you stop saying what is he and where is he going to line up, and who do we have to match up with him? That’s not necessarily a position. You’re not going to say, if he’s out wide, then we’re not going to put our linebacker out there, we’d have to have a safety rotate up. You’re going to get at what you’re doing defensively. If you have a guy like a Tyron Hopper, or a guy like a Diwun Black, it’s, listen, you’re covering him. It doesn’t matter what position you’re going to be. That’s the guy you’re going to cover, because you’ve got the height, speed, and lateral quickness and the strength to match up with a guy like Kyle Pitts, who for all intents and purposes is a tight end that can play wide receiver. Andrew: Yeah. I was going to say, it’s kind of the New Age football. You better not put a linebacker on Rob Gronkowski in the NFL. Andrew: You know what I’m saying? Nick: But you’re not putting a corner on him. Andrew: Yeah. You’re not putting a corner on him either. Nick: Love Brian Poole, but I don’t love that matchup. I don’t love putting Brian Poole on him. Andrew: Right. So, that’s where a guy like Diwun Black or Tyron Hopper come into the situation. It goes back to Jacksonville last year. What did Jake Fromm do? He started going to Isaiah Nauta. He knew Vosean Joseph couldn’t cover him. It’s the New Age football of creating mismatches. Again, there’s no science to it. There’s no Tyron Hopper is going to be the guy who always goes up against the mismatch or the other. That’s not what we’re saying at all. It’s just a simple thing of having versatile guys. It’s kind of like Trey Dean. Trey Dean’s a corner, but he’s a safety, but he’s going to probably play star or nickel next year, whatever you call it. He’s a guy who can play multiple positions. I go back to little David Reese, Nick, a guy who played some defensive end, was playing safety at Florida. Nick: Yeah. I’ve got him listed at linebacker right now. I’m interested to see when they put him at, I was just doing my scholarship chart. I have him listed at linebacker right now. I can see him playing safety. It’s just another guy. Just another guy that can do that. It’s exactly what you said, and it’s kind of what I was trying to get at. You’re not necessarily saying, you’re a linebacker/safety. You’re saying, what mismatches, who can you defend, if you’re on defense, or if you’re on offense, how can we use you to make it the best benefit for us? It’s not necessarily a position. Dan Mullen yesterday said, I’ve yet to have a person tell me what position Percy Harvin played when he was here. To me, it’s less of saying he can play any of these positions, versus what mismatches can they create for you based on where you put them on the field against the other defense’s personnel? Andrew: Right. It’s a situation of, if you look at Percy, he’s a phenomenal athlete. Listen, you can’t have a situation of you have 11 athletes on the offense. You’ve got to have a Van Jefferson. You’ve got to have a Lamical Perine. You’ve got to have guys that fit the position, but you always need Kadarius Toney, Percy Harvin. I mean, for instance, in the NFL, what is Julian Edelman? A slot receiver? But he also takes snaps at running back. Also takes some wildcat snaps at time from time. I think it’s the New Age football of getting, I don’t want to say gimmicky, because it’s not gimmicky, but getting creative. Would you agree? Nick: Yeah. Mullen brought that up. He’s like, what position does Kadarius Toney play? Listen, he’s a receiver, but, like you said, he also can, he’s going to take his wildcat snaps. You don’t really see it often, but he could potentially get those jet sweeps and handoffs. Nick: It’s just what we’re saying. It’s not necessarily putting a position or even positions on a player. I guess, it would be how many positions can you put on a player? And that’s really, on offense, where you want to be. You want to have a bunch of versatile guys. This is what Mullen’s looking for. On defense it’s not so much what position can you play, it’s New Age football, like you said. It’s what are they going to throw at us? Perfect example, Isaac Nauta, we said it before the game. Florida doesn’t have an answer for him. You simply don’t. Chauncey Gardner’s not big enough to cover him, and your linebackers are not fast enough, not quick enough to cover. Nick: That was a huge mismatch for Georgia. They didn’t take advantage of it much, but they certainly did right before halftime. Andrew: Certainly did right before halftime. To be honest with you, that’s been the biggest knock on Florida’s defense. If there’s been a knock on Florida’s defense lately, it’s coverage of linebackers. Listen, it’s no easy feat. I mean, a linebacker is 230, 240. They’re not covering these athletic guys very good, but you get these rare breeds that do. Let’s recap here Signing Day. Let’s start from the beginning her. Florida went ahead and inked, I say went ahead, I shouldn’t say it like that. Florida inked finally Diwun Black and RJ Henderson. So, they finally got those two guys in. We talked about Diwun Black. I wanted to get to RJ Henderson a little bit here. There’s some question marks on whether or not he’ll qualify and all that stuff. If he does qualify, you’re getting a guy who, Nick, at the Under Armour game was catching everything. Was a guy who could really go up and high point the ball and be a red zone threat. He was one of the few guys that it didn’t matter if it was Kaiir Elam, if it was Travis Jay. It didn’t matter which corner it was. He was the guy that was really doing well in Under Armour practice against those guys. A guy who, I think, he’s listed at 6’1”, but he plays bigger than 6’1”. You know what I mean when I say that. He’s very athletic for it. He understands what I call the box out term in basketball, what they do in football as well. Is a guy who I think is a very good player, especially for what Dan Mullen likes to do on offense, and a guy I think that will be a major contributor if he gets on campus. So, a little bit of question marks there. Again, maybe no risk there. Nick: I don’t have any questions about him as a player. I think he’s a great player. The question mark for me was this is a guy that, how many schools did he commit to? Nick: He had never been to Florida when he committed to Florida. Nick: I think what Dan Mullen said yesterday plays into my head. They recruited him early, and then at the All-Star game he’s talking to them. He told Dan he really wanted to commit to Florida. Mullen said he kind of asked him why. He got the reasons from him, gave him the okay. The big thing to me is that I think even you and I, when he committed at the Under Armour game, are probably sitting there thinking, well, how long does this last? Andrew: I was the same way. I think I texted you, and I said, will this last? Because all the buzz was Florida State. Again, I don’t know if I’ve ever told this story. If you’re listening to the podcast, I guess you get to be the first one. I always keep a group text going, or not a group text, a group of guys who Florida offers. I take guys off that commit and aren’t interested in Florida when I send out group texts to see when coaches are visiting and that kind of stuff. I missed RJ Henderson, deleting him, when he committed to Oklahoma. This was back in November. I sent out the group text, and RJ replied. He said, Florida’s coming to see me, I’m really interested. I reported on the site that Oklahoma-commit was expecting Florida to come by. So, he had always shown interest in Florida. That’s what I’m getting at there. It just seemed like he never visited, but then he was going to go to Florida State, but he had been committed to Willie Taggert at Oregon, so that made sense. He had no connection to Florida, everything else. It’s like Dan Mullen said, he asked some guys about him and heard some good things about him. He came on campus, and once he came on campus he fell in love, and the rest is history. There’s certain times and random times that it works out that a guy who never visits actually sticks to your campus. Nine times out of ten it don’t. This time it did, and it worked out in Florida’s favor. Nick: Yeah. The biggest thing, I think, and this is all behind the scenes, something that Dan Mullen released, made us aware of yesterday, Henderson quietly, throughout that week, is helping recruit for Florida. He basically said, once he committed to us, he was all Gator. Nick: Came on his visit. I think that’s the big thing. We can never be 100% sure of that, especially when it’s a kid from Houston. He said, he’s helping us recruit. He’s been awesome. Nick: To me, he jumped all in at the Under Armour week, and he’s been all Gator since then. Even if you and I were sitting and waiting to see. Andrew: Yeah. Even if you and I were sitting waiting to see. Again, it’s one of those things where they get around guys. Chris Bogle, we’ll talk about him in a second, getting around Diwun Black was huge for him. Back to RJ, again, I think you get a really, really talented, polished receiver in RJ Henderson, and a guy who’s going to compete at receiver. You want guys that can compete. Let’s go to Chris Bogle. Nick, I’ve covered recruiting a long time, and he’s one of the few guys that just really, we were told on Tuesday night that he had called Florida, told Florida he was in. I even told you, hey, he’s in. Story’s locked and loaded for tomorrow, get ready. I said, also, don’t be surprised when he doesn’t come to Florida. We’ve all heard the story about him telling the guys at the All-American game he was going to go to Tennessee, and then just an hour later decided he was going to Alabama. Not talking to nobody, because he was playing in the game, and flipped. Was a guy who never really got a good read on him. Is a guy who played basketball, so he’s just now starting to focus on football. I told you this yesterday, Nick, he’s a guy I think is a good pass rusher. We need to see him grow some and really fill out and see how he’s going to do once he’s dedicated strictly to football, how he’s going to grow in the weight room and that kind of stuff. Make no mistake about, Florida stole one from Alabama. Nick Saban wanted Chris Bogle in the class. Nick: That was one. Now for my neck of the woods, Cardinal Gibbons a rival high school of the St. Thomas Aquinas Raiders, but when you go up, and you look at, I don’t really think, I always felt very confident about Kaiir Elam, so I would have been more surprised if he went to Georgia than come to Florida. For Dan Mullen and this coaching staff to go up against Kirby Smart and to go up against Nick Saban, I think Dan Mullen said it well. He was asked about it. He said, those are the two teams that played for a championship in our league, so to beat them on the field you’re going to have to start beating them in these recruiting battles. It’s not all recruiting. You’ve got to develop talent. If it was all about recruiting, Ron Zook might still be coaching at Florida. But that’s the truth. If you’re going to beat them on the field, you’re going to need to start beating them in these recruiting battles. That’s not something that Florida was doing on a regular basis in the past. Andrew: Right. You got to start doing that. Again, you beat Alabama for him, and that’s a big one. The biggest thing too, Nick, and this is something we have to talk about. You and I talked about a little bit last year and throughout this year. You had to start winning some instate battles and start getting those guys in state to choose the instate school over going out of state. That’s exactly what Florida did. They were able to really go out and keep him from Alabama, and you beat Miami in the process. Overall, it was a win. I think we don’t talk about Todd Grantham enough and what he does in recruiting, but this was a major win for Todd Grantham. You had the coaching change. Sal Sunseri leaves. David Turner comes in. Don’t get me wrong. The mom, Chris Bogle’s mom loved David Turner, but this was all Todd Grantham here. I think we have to say that and give the man props for that. This was all Todd Grantham here, and just really selling his vision for what he wanted Bogle to do and how he wanted Bogle to play. Really breaking down and showing him film of different guys. Jachai Polite, other guys as well that he had coached in the past at other schools. Just really breaking it down and showing him, this is how we’re going to use you, and this is how we’ll get you to the NFL. Because his mom has said, and Chris has said it, wherever he went he wanted to go to the place that was going to make him prepared the best to play on Sundays. Todd Grantham really knew that and broke it down to say, this is how we’re going to get you to the NFL. Nick: That’s a huge one. Andrew: So, there you go. On Kaiir Elam though, Nick, let’s go ahead and talk on him a little bit. Again, I would say all the way really until Mel Tucker left I felt Georgia was a little ahead of Florida for Kaiir Elam. Then when Mel Tucker left, it really swung heavily to Florida. We talked about how the Charlton Warren situation was going to affect him. Everybody I talked to said that had zero effect. He wasn’t coming to Florida for Charlton Warren. That was not the selling point. 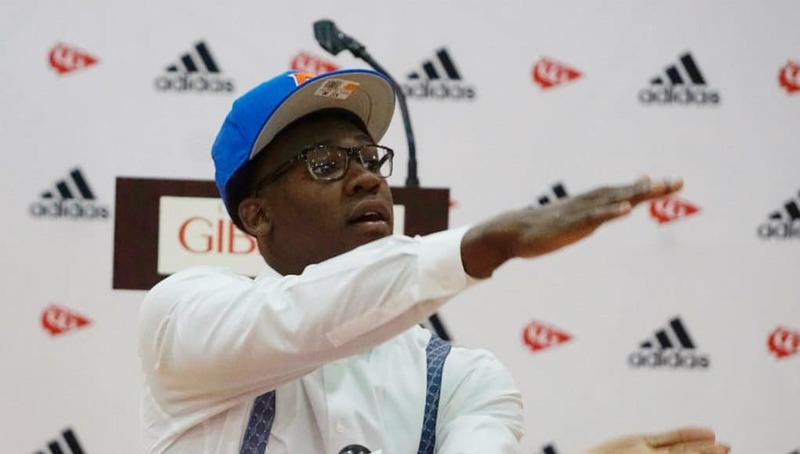 Now, Torrian Gray coming, when Torrian Gray got on campus at Florida, Kaiir Elam still was coming to Florida, but also was coming to play for Torrian Gray, because of what Torrian Gray could do for him. The Elam family was never sold completely on what Charlton Warren could do for him, as far as DB, and that was told to me multiple times by several different people. People thought, Kirby’s hiring Charlton to get Kaiir. Well, if Kirby really did that, A, he’s dumb. You don’t hire a coach for one kid. Second of all, he obviously didn’t do his research there. Again, it was a major win for Mullen. It was a major win for Grantham, and a huge win for Torrian Gray. I mean, Torrian Gray called in people that he coached, including Brandon Flowers and those guys, and really sold how he was. He had Quincy Wilson, those guys, all talking to Kaiir about how Torrian coached and what Torrian could do for him. Nick, we’ve talked about this all the time, Torrian gets some flack a little bit for his recruiting, but on the field Torrian Gray is one of the best DB coaches out there. Nick: Yeah. He’s been an incredible DB coach. I mean, he literally was only at Florida for a year, and I just think that the impact he made, to have a Jeawon Taylor who only played for him for a year text him right away, a CJ Henderson and a Marco Wilson, who didn’t play for him at all. Nick: Just recruited by him. To call and say, Coach, we want you back. We want to be coached by you. We want you to come back here. To me, that speaks volumes for the kind of coach he is. Listen, when it comes down to it, these players are aligned, and they will align themselves with someone they think can make them better. Nick: Because if they’re here, they want to get to the next level. If they don’t think you can get them to the next level, there was a coach at Florida, won’t name names, but there was a coach at Florida that players didn’t think that. Andrew: He’s selling medical stuff now. Nick: Yeah. He didn’t have their respect, and that’s not what they need. So, to have a coach that is so well respected by the players, that’s going to be great for Florida. That’s already a position of strength. That’s a position group of strength, to me. Andrew: Right. Exactly. We talked about that when he got here to Florida. To really go out and have those guys talking you up and to have those connections as well really helped him there and really sold the point there. Again, Florida could went 0-fer yesterday, but they needed Kaiir Elam. That was huge for them to get him, and it wasn’t simply because of how good of a player he is. I’ve said this before, and I’ll say it again. When he get his hands on you, good luck. Good luck, because he’s athletic as all get out already, and when he gets hands on you, it’s over with. We all know he brings that Elam intensity, and that’s something special as well. It was just big from that standpoint. Let’s talk about a couple guys who went elsewhere, Nick. Mark-Antony Richards goes with Auburn. We had talked about this before. Gus Malzahn had recruited his brother, Ahmad, and ultimately lost Ahmad to Miami. So, that relationship was just so long that it was tough, tough to beat there. Charles Moore double signs actually. Signs with Auburn, and then signs with a JUCO. That tells me a lot. Nick: Explain that. How it’s done, or, obviously, why, but how. Andrew: Right. What it is he signs with Auburn in case he can get into school. Then he signs with the JUCO, double signs with them. That way that JUCO has a spot for him, and he gets to go to the JUCO he wants, or the JUCO Auburn wants. Usually the school that you sign with will help you and send you to schools that they obviously can recruit well at. That was a big thing there. You don’t see it as often nowadays, because kids are getting into school a lot more with being able to retake classes online and that kind of stuff. Basically just sets him up in case he doesn’t get into school. Andrew: Moore goes there. Like you said, Pickering ends up going to Mississippi State and stays home there. I’m trying to think if there was anybody else. Ira Henry, who visited Florida, ended up going to Florida State. A guy earlier in the process, Kamaar Bell, ends up going to Auburn, the offensive lineman. Can you think of anybody else, Nick? I think that’s it. Nick: There weren’t many, many targets. You did so well in the early period that there was just a couple guys. You were able to kind of cherry-pick at the end. Andrew: Yeah. I’m thinking that’s it. If I’m missing someone, someone hit us up and let us know, but I think that’s it, for the most part. I’m thinking here, going over, and that’s it. Let’s talk a little bit, Nick, now about some guys in this class. We’ll start with this. I’ll ask you this and put you on the spot here. Give me a guy who you think can play early next year. Nick: I think it’s going to be Chris Steele. The reason I say that is Marco Wilson won’t be back, so Chris Steele is going to be able to play right away in the spring. He’ll be on the other side of CJ Henderson, because Trey Dean will be playing that star role that Chauncey Gardner leaves. To me it’s him. Also because right now, I mean, CJ Henderson was playing what, 70, 75, 80 snaps a game? You’d like to not have to do that. If you can rotate those three, if Steele’s ready and you can rotate Henderson, Wilson, and Steele, and keep them all fresh throughout the game, I think he’s someone who plays right away. Who else do I see being able to play? I’m not sure about the freshmen linemen or Jaelin Humphries. Yeah. That’s going to be my guy. Andrew: I’m going to agree with you here. I think Steele does, for all the reasons you just said. I think he’s ready to go. Nick: I mean, no way are either of us saying he’s going to start over Marco or CJ. Andrew: No. He’s just going to get playing time. Nick: Yeah. There is playing time to be had there when you’re thinking of how many snaps those guys will be playing. Andrew: I’ll say that, I’m trying to think of the next guy. On offense I think it’s going to be tough for any of those guys to play. Nick: I mean, the receivers are super talented, but you’ve got four senior receivers, three junior receivers. You’ve got Jacob Copeland as a redshirt freshman. There’s just a lot of guys in front of Andre Henderson, Dionte Marks, Ja’markis Weston, Trent Whittemore. There’s just a lot of guys in front of them. Andrew: Yeah. I’m going to go with a guy though, Nick, and it may surprise some people. I’m going to go with Mohamoud Diabate. I think he’s going to be a guy. Andrew: Yeah. We always say it’s tough for those guys, but we always say they’ll play some on 3rd down and just go get the passer. I think that’s what he is. He’s going to have to gain some weight, but that’s going to be the guy that I’m going to say. I wouldn’t be surprised if he doesn’t play a good bit. Andrew: Yeah. Wouldn’t be surprised. Give me a guy, Nick, right off the top of your head here, or I can go first, either one, that you think is a guy who was underrated. You want me to go first? Nick: Let you go first. Andrew: I’m going to go with Ja’markis Weston. He was a guy who was committed with the past coaching staff with McElwain. We’ve heard a lot about him. Had several people tell us about him. Some coaches that were here in the past and stuff and moved on, and then some high school coaches, they’ve all told me from the get go, listen, once this man gets some good coaching at his position, watch out. He’s got freakish talent as far as being athletic and that kind of stuff, so that’s going to be my guy. Maybe not Year 1, but Year 2, after a redshirt year, I really think that he could be a guy that is a guy that can make some plays and make an impact. Nick: One that Dan Mullen was very excited about. Andrew: Yeah. That was a guy Dan Mullen was personally kind of sought at. I’ll throw another one out at you too, Nick. I hate to kind of limit your choices here, but people can hate on Nay’Quan Wright being only a four-star. Andrew: I’m telling you, if he doesn’t miss his junior year, that’s a five-star prospect. Nick: I was going to say Nay’Quan, but I feel like people were pumped for that signing. I didn’t think that that would be a big enough under the radar kind of guy. Andrew: Right. For me, I’ll go ahead and say it, that guy’s going to be a spectacular football player for the University of Florida. So, go ahead. You can pick whoever you want. Nick: I’ll go with Nay’Quan. I didn’t think that that would fit the billing of what we’re looking for, but that’s who I would go with. A guy that I think is not going to play a ton, barring injury, because you’ve got Perine, and Malik Davis coming back from injury, Damien Pierce, and then Iverson Clement coming off. I’m not sure how much he’ll play, but I really think he’s a very good player. Andrew: I was going to say. I mean, there’s a couple guys. For the most part, this was a highly ranked guys in this class. 15 four-stars or something like that. So, it’s hard to kind of pick that. Again, if Nay’Quan doesn’t miss his junior year, you’re looking at a guy who would have been up there to be a five-star. Nick: I mean, that’s what everyone wants, right, five-stars, six-stars. Andrew: Whatever it is. Nick, let’s move on here. Dan Mullen did talk on Wednesday. What were some highlights? Nick: I mean, first highlight was just, hey. He comes in. He was in a good mood. Andrew: He was excited. He wasn’t like Willie Taggert. Nick: Yeah. Oh my God, that’s a disaster. Andrew: We’ll get into that. Nick: Yeah. We’ll get into that. After the early signing period, I think you needed to get two needs. One was defensive tackle. One was defensive back. You definitely hit defensive tackle, or you hit defensive back. Obviously, you still have that need at defensive tackle. Nick: I think the big thing for me was beating Alabama and beating Georgia for two different guys. Really the highlights were, to me, one that really stood out was saying, admitting we need to beat Alabama, and we need to Georgia. If we want to get to where we are, we need to beat them, and that starts in recruiting. I think he’s got a good feel for this team. The biggest thing to me is that you’re going into Year 2 of all this. You’re going into Year 2 of Nick Savage, Year 2 of the system and this and that. A lot of last year he spent talking about this team is learning to strain. They’re learning to do this. They’re learning to do that. What is the team going to look like if you’ve got an entire year where you’re not learning to do something? You already know what’s expected. Let’s say it took them a full year to learn what kind of effort they need to be giving, because that’s what is now expected of them. What happens if you’re giving that whole effort for the entire year? You saw the jumps and the strides that these guys made. I think that’s kind of where Dan Mullen, to me, I get the sense that he’s most excited. He thinks that this team will take an even bigger jump from Year 1 to 2 than from Year 0 to 1. Andrew: Right. I think that it’s a thing of also seeing, and I said this with certain guys, for instance, I always point to Lamical Perine, just because that’s a guy that I’ve seen throughout the years grow and that kind of stuff. Last year, and when I say this, don’t laugh and say that I’m saying this, but Lamical Perine was never fat, but Lamical Perine took what little body fat he had and chiseled up. Now, I think you take that and go into this off season. He’ll probably get faster, definitely going to get stronger, that kind of stuff. For me, I think that’s a big key to watch. Some of these guys who really had their first off season, it’s almost going to be like what a guy is his sophomore year now. Nick: True. That is very true. And that’s across the board. Andrew: Yeah. It’s across the board. I mean, when you look at guys, Jaewon Taylor, you look at David Reese, who I think was in much better shape this year than last year. Even look at some of those DBs in Henderson. Marco really won’t be able to benefit a lot from that, because he’s coming off an ACL injury, but he’ll benefit some from it. Guys like Zach Carter, you and I have praised how Zach Carter’s come along last year. How will he do this year? Jeremiah Moon is another guy. How’s his body going to come along? I agree with that. I think what Nick Savage will be able to do with these guys in Year 2 in the program, that will be big. Nick: That will be big. Can’t forget about you got your quarterback in the class as well. Jalon Jones is already on campus, will be getting work with all these guys going through the spring, already working out. To me, he’ll be a guy that I’ll be very interested to see. When they run out there for the first spring practice, what does he look like after six weeks, two months, with Nick Savage? Andrew: Exactly. I read your story, of course. Listened to Mullen, everything else. One thing that really stood out to me, all coaches do this to some extent, but I felt like Mullen did this more than any of them. He said he talks to the guys that are committed to the program, the guys that are on campus hosting these kids, about prospects that aren’t committed. For me, Nick, that really stood out to me. Again, I knew Jim McElwain did it. I know Nick Saban does it. I know other coaches do. I don’t think they do it to the extent. I haven’t really do that so much with commits more so. To me, that stuck out. Go ahead and explain kind of what he said, Nick, if you don’t mind. Then give me your take. Nick: You’re talking about talking to uncommitted prospects? What are you talking about? 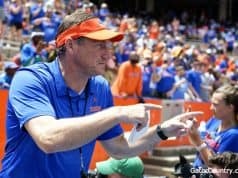 Andrew: So, Mullen said, for instance, with RJ Henderson, he said that he talked to guys that were at the Under Armour game about RJ, and guys were saying, RJ’s recruiting for Florida. Keon Zipperer being one of those guys. Hammond being another one of those guys. RJ’s recruiting for Florida. RJ really wants in. That’s what he was talking about, having guys that are commits to the program, Mullen asking for evaluations from those commits. Mullen asking for evaluations with the player hosts of targets while they’re on campus. I just thought that was interesting that he goes to that deep of evaluation. Nick: I think that’s important, because it’s kind of like why coaches will ask guys like you, what did they say? What did they tell you? Because a lot of times players, you got to think, these are 16-year-old kids at times, and you’re talking to a person in a position of authority. You’re just going to tell them what they want to hear almost, because you’re trying to avoid an awkward situation. You don’t want to disappoint them, whatever the case may be. If you have a player trust, someone like a Keon Zipperer who’s already committed and signed to you, RJ is telling me this, what’s he saying to you guys? What are his actions saying? I think that’s just another way that coaches are able to get more insight into a player, because they’re going to be more open and honest and frank with guys their age than they will be with even just talking to you or talking to me. Andrew: Right. Again, I thought Mullen really kind of took that, I think he does that more so than a lot of other ones. Nick, we talked about that. Let’s move on to some of the rivals. What the hell is going on in Tallahassee? Nick: I read somewhere that there isn’t a Power Five school in the country that hasn’t signed at least one quarterback in the last two years. Willie Taggert and FSU have not signed a quarterback. You lose Deondre Francois. I mean, you got Justin Blackman next year. Nick: Sorry. James. I don’t know where Justin came from. Andrew: James and Louisville transfer, right? Yeah. Andrew: That’s it. He says he has a plan though. They just got to execute it. Okay. Nick: I don’t know what the plan is. Andrew: That’s bad. May lose Nick Cross. Man. Things out in Tally aren’t going well. Maybe people should have listened to us when we said Willie Taggert was a bad hire. Nick, I don’t know if you got to see his press conference. I saw bits and pieces of it. There’s no energy. Nick: Things can go south quickly there. I mean, just very quickly. Andrew: I go back to Will Muschamp, and that’s what I see. That’s what I see. Andrew: Not great at all. Then down in Miami. Manny, you lose Bogle, and you’re going to go out and tell that you got this transfer. I hope all those transfers get along with each other. Nick: That’s Transfer Portal U.
Andrew: Transfer Portal U. Things are bad there. Then the big one, Nick. George Pickens decides to leave Auburn after being committed there for over 500 days to go to Georgia. Andrew: People aren’t happy. Auburn players are saying that Georgia outbid Auburn. Maybe they know a little something we don’t. Nick: I’d like to get a couple of those bags. Andrew: Last thing for you. Got to meet Torrian Gray and David Turner yesterday. Obviously, second time around for Torrian Gray. First impressions of David Turner were? Nick: I think he’s a straight shooter. We’re asking him about his players. Here’s one that, coaches are always looking for new jobs, so not a lot of coaches will go out and say this. Some coaches will say it. David Turner just flat out came out and said, good players make me look good. It’s about getting good players. Obviously, he’s worked for the bunch, Miles Garrett probably being the most prominent one, #1 overall pick and absolute monster in Cleveland. Really him just being, we need to get good players. Him going and saying, I will watch film. That’s something Mullen said he didn’t do. A lot of it he said, listen, I’ve only had two opportunities to see these guys. To me, I want to see him work in person, but just as far as being open and honest yesterday I was impressed with that, impressed with him. He’s got a very good track record, and he’s, from everything I’ve heard, is a technician kind of coach, kind of like Torrian Gray is. Just X’s and O’s, footwork, fundamentals. He’s got it. Andrew: Got you. Overall, that was good. I mean, they don’t know a ton about what they have. Torrian has a leg up, as he recruited some of those guys. Now that the recruiting period for 2019 is over with, they’ll start working on 2020 and really watching film and that kind of stuff, as those guys will be able to be in the office now after taking a little vacation and get ready. When’s spring practice start, Nick? Nick: I don’t have a date yet. I mean, the spring game, what date is that? April or March? Nick: April 13, so count like 30 days back from there. Andrew: So, first of March. Andrew: Little less than a month. Dabo said on Wednesday two weeks, and they’re back on the field. Seems it’s getting going. Nick, you and I will get busy as well. Softball starts on Friday. Baseball starts the following Friday. Some big things happening on campus as well. Friday you guys break ground for baseball. On Tuesday softball will have its ribbon cutting ceremony for Katie Seashole Stadium. Some big things going on. Nick: As you’re reading this, reading or listening to it. It is transcribed on the site, if you want to read it. I’ll be out at the new baseball grounds, the new baseball stadium, as they break ground. That should be an event, and that stadium is going to be beautiful. Katie Seashole, how do you say it? Nick: I’ve never been able to say it. That stadium already looks great, and I’m looking forward to getting out there and checking that out. The stick sports are getting ready to go. Baseball season right around the corner. About to start the baseball grinding. Andrew: Everybody needs something to forget about basketball. Andrew: Will Muschamp’s coaching offense. That’s bad. Gymnastics is doing well. Nick: They are. They always do pretty well. Andrew: #2 in the country. They got some freshmen that are dynamite. So, that’s that. Give me a little bit of a heads up though, Nick, on this baseball deal, for myself and for others who don’t follow as closely as you. So, they break ground. When do they actually expect? Is it after the 2020 season that they expect the stadium to open? Nick: Yeah. The cost has raised almost $50 million. This is supposed to be the last season at McKethan Stadium, and they would open the new stadium for the 2020 season. 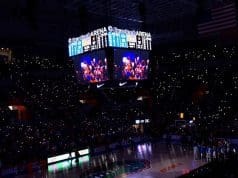 Now Florida will play the 2019 season, this upcoming season, and the 2020 season at McKethan, while they get this construction underway and build the brand new stadium, which obviously pushes back the football standalone facility a year. I mean, it’s not like they wait to plan the standalone facility. They’re underway. Guys from all of the populace and all the construction companies have been meeting in Gainesville about both the baseball and the football stadiums. They’re not waiting until 2020 to start planning it. They’ll be ready to go after the 2020 baseball season to tear down the Mac and to start a new stadium. Andrew: Then if I’m correct, Nick, in saying they’re going to redo some of the locker rooms in Ben Hill this year. Correct? Nick: Yeah. There’s not much you can do. All that will be cosmetic. You don’t have room down there to build anything new, so that will just be basically a Band-aid. It’s just new carpet, maybe some new layouts of things. You’re working in a confined space. They will redo the locker rooms to do something different, but don’t expect huge sweeping overall changes. Andrew: That will always be used. That’s got to be used on game day, that kind of stuff. Nick, tell everybody where they can find us. We’ll get out of here, and we’ll see everyone next week, as we start to talk diamond sports. Nick: www.GatorCountry.com for all your Florida Gator news. The podcast is there is audio and transcript form. You can find the podcast anywhere you choose to listen to podcasts. Just search Gator Country. Subscribe. Never miss an episode. Pushed right to your phone or device. Do your social media thing. @GatorCountry on Facebook and Twitter. @TheGatorCountry on Instagram. I’m @NickdelaTorreGC. He’s @AndrewSpiveyGC. Andrew: There you go. Guys, we appreciate it. We will see everyone next week, as we get to talk about all that. Reminder, check out the site. You’re listening to this on Friday, so check it out. We’ll have some behind the scenes stuff on recruiting and all that good stuff. Nick and Baileigh will still have some wrapups from Dan Mullen. Then we’ll get softball and baseball going. As always, guys, chomp, chomp, and go Braves.